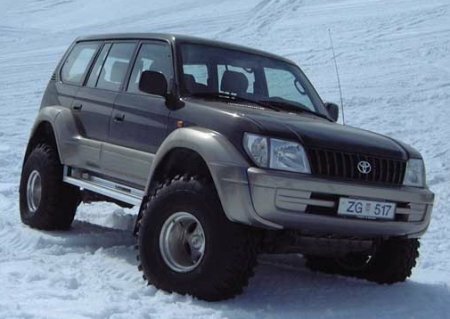 Icelandic Arctic Style 90 Series widebody fender flare kit. Kit includes 8 pieces. Two front main flares, two bumper flare extensions, two rear main flares , and two rear door Flare molding combo extensions. This kit requires the rear quarter panel to be reworked as well as the front fender arches to be enlarged. You will be able to run up to run 38" Tires with only 4" of Lift. For added articulation and ground clearance we have larger Suspension Lifts Available. This fender flare kit is a must in states that have laws against tires protruding beyond the fender edge. Be the first on your block with an Arctic exploration vehicle! (Allow up to six weeks for delivery).